Who better to promote the joyful season happening at SouthPointe Pavilions than jollyful ole Saint Nick himself. 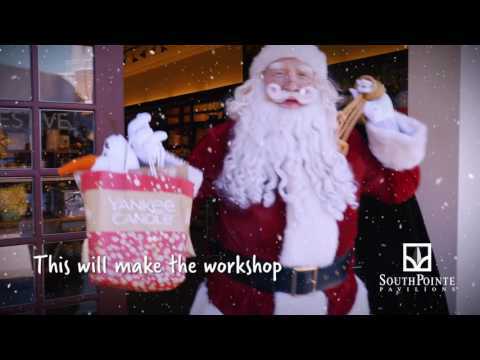 Santa Claus hit the trifecta – hot person, hot brand and hot topic – when choosing a Lincoln celebrity to be featured in a short video promoting SouthPointe’s social media contest. People were encouraged to comment and/or share the Santa video on Facebook to be entered to win one of five $50 SouthPointe gift cards. There were over 200 views in the first ten minutes, 800 in an hour and tens-of-thousands within days—making the holidays extra ho-ho-happy!